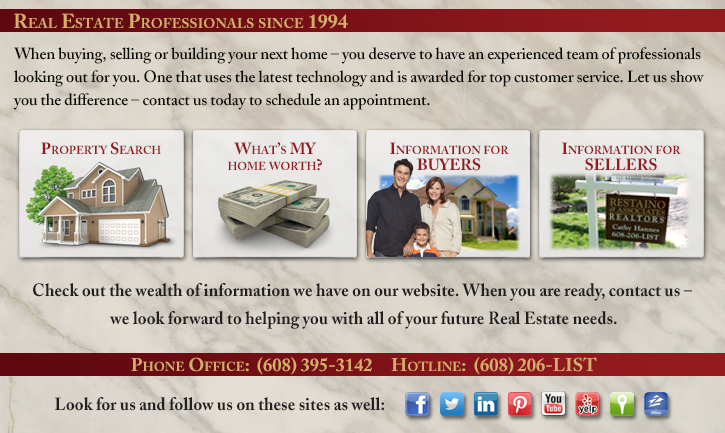 For all of your Real Estate needs – call Cathy & Tom Hannes. 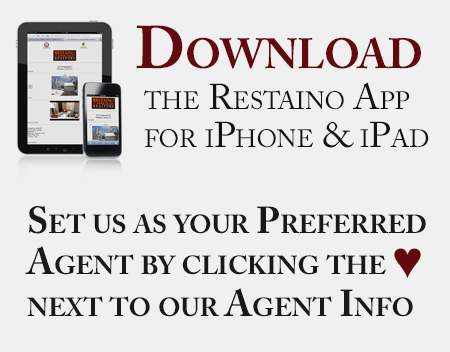 We are licensed Realtors with Restaino & Associates Realtors, located at 26 Schroeder Ct, Madison Wisconsin 53711. Providing Real Estate services in Dane County, south central Wisconsin including the following towns: Cottage Grove, Cross Plains, Deerfield, DeForest, Dunn, Fitchburg, Lodi, Madison, Maple Bluff, Marshall, McFarland, Middleton, Monona, Mt. Horeb, Oregon, Pine Bluff, Praire Du Sac, Sauk City, Shorewood Hills, Stoughton, Sun Prairie, Verona, Waunakee, Windsor. 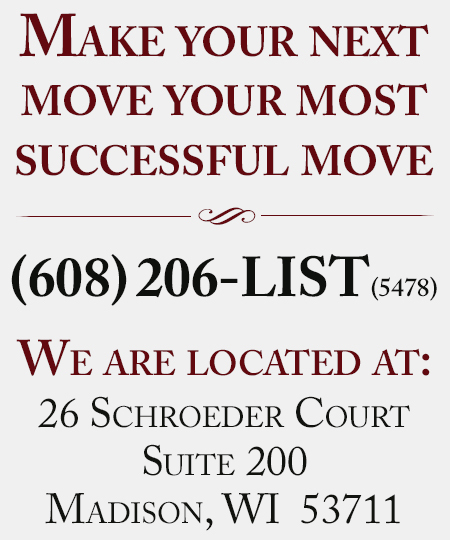 For more information, we can be contacted at 608-206-LIST (5748).